For a Chapter 7 Bankruptcy, there is not cost to begin filing. A credit counseling certificate is required to file, $40.00 (this fee includes both the pre and post filing courses). The Pre filing course may be done at our office while we are opening your file. The post can also be done at our office after you file. Both can be done online at any time. We can also obtain your 3 bureau credit report for $30.00 Individual, $50 for a joint report. This is not mandatory but we find it to be very helpful if you don’t have a complete and accurate list of creditors. 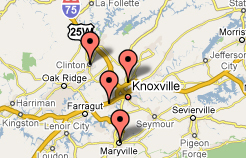 - Credit Report from all 3 bureaus. It’s important to have a very accurate report from all 3 bureaus. The court charges a mandatory fee for adding additional creditors after you file. - Pre and Post Mandatory Credit Counseling. 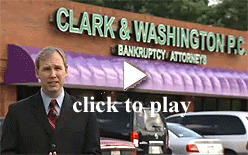 Clark & Washington charges $1,250.00 for attorneys fees in a routine Chapter 7 case. We do offer flexible payment options. You may pay attorney’s fees and costs by cash, personal check, debit card, money order or checks from a third-party. We can also open a file and hold it open until all the fees and costs are paid; at which time we will file your case. You may pay attorney?s fees and costs by cash, personal check, debit card, money order. We can also open a file and hold it open until all the fees and costs are paid; at which time we will file your case.